Many of the basic machines today use gears in order to function efficiently. This makes gears extremely vital up to this very moment. 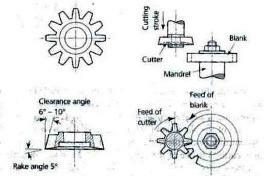 Although gears can be purchased in the wide market today, the design and geometry of gears still depend on what the machine needs. For instance, a basic clock of gears uses a different type of gear compared to that of vehicles and mobile machines. There are even machines that require customized gears in order to function. 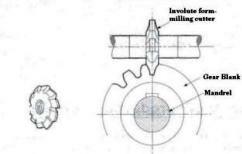 Here are the two processes of how we can make our own gears. We can easily scribe a brass in order to make gears. One may opt to use a hacksaw in order to reduce a bulk out of the brass. A drill can be used to create the shaft hole in the center of the gear while a file can be used to create a better finish on the gear. The file is also used to mold the gear in its final shape. 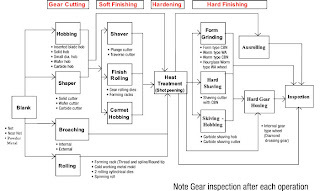 Although the manual process requires more time and dedication, one can still make good and efficient gears out of this process. 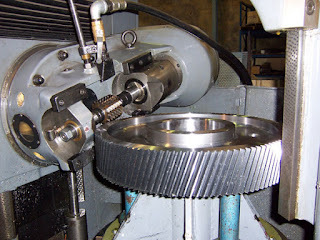 also a process to make sprockets and splines asidefrom gears. With the use of the hobbing machine – a special design of a milling machine – one can easily cut and mold a gear with the use of the machine’s cutting tool known as the hob. Hobbing is the most budget-friendly mechanical process of gear-making. Hence, this process is being used to create gears in huge quantities and styles. Basically, Hobbing is known to be the process when it comes to the creation of helical gears and spur gears. Most gears today might have been made out of this process because aside from cost-cutting method, the process can also create huge quantities of gears quickly than other machine-based processes. block diagram of making gears. you can also refer this following images for Gearmaking.